Growing potatoes in bags is a great way of getting a useful crop from a small space. 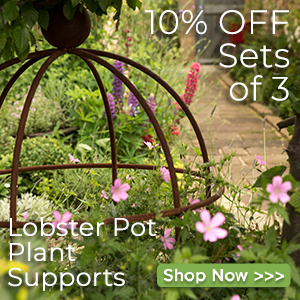 If you have a greenhouse then you can also get a very early crop. Usually by the time the first crop of the season arrives, the maincrops are near past it. A super early potato crop bridges the gap. 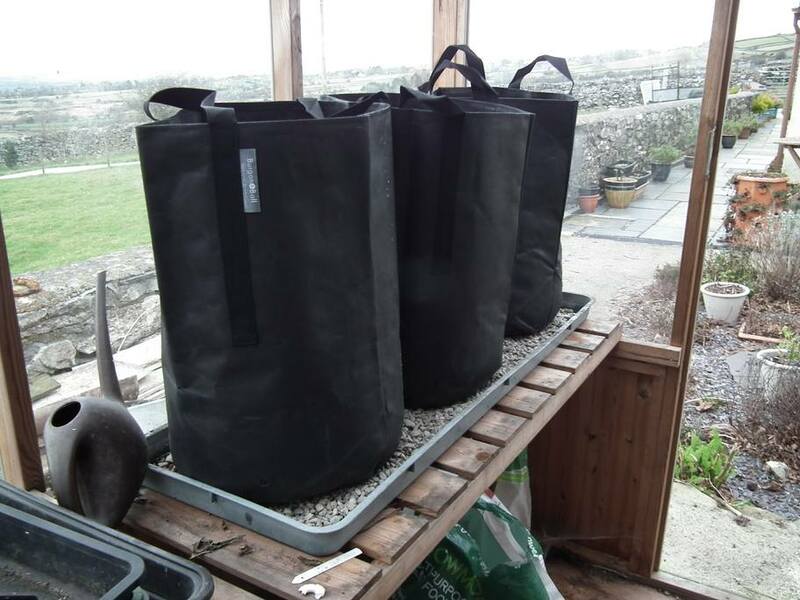 In this article I’m covering growing potatoes in 40 or 50 litre bags. Growing in the smaller 17 or 20 litre bags is covered in the Growing Potatoes for Show section. 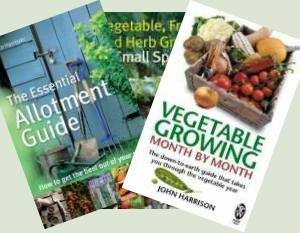 The obvious varieties to grow would be first earlies like Arran Pilot, Swift or Rocket but you might prefer to grow a second early salad variety like Charlotte or Anya. You’re not limited to those varieties – you might like to try International Kidney which is the variety that gives the famous Jersey Royals. Using your greenhouse, you might even have Jersey’s on your table before they’re in the shops. Start with a good quality multi-purpose compost. This may cost a little more but will give a better result. One tip from the show growers to get near-perfect skins on your potatoes is to pass the compost through a shredder to get a fine mixture. It’s worth doing with cheap shop-bought composts that tend to have twigs and bits of wood in. If you don’t buy in multi-purpose compost then you can mix your own with home-made compost, sifted garden soil and leafmould. 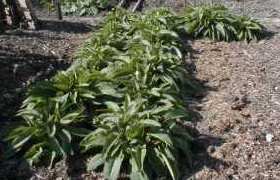 Leafmould combined with Russian comfrey leaves provides both growing medium and additional potash to aid growth. Do not add lime to the compost. Most multi-purpose composts have enough nutrients to carry through for 6 weeks which is not enough for the potatoes that will take between 12 and 16 weeks to crop so you need to add additional fertiliser. Finally add some water retaining crystals to the compost as per the instructions on the pack. This avoids the bag drying out if you miss a watering. Add a further 15 to 20cm (6 to 8″) of your compost mix into the bag and set 2 or 3 seed potatoes, chits or eyes up, into the compost and cover with another 15 to 20cm layer of compost. It’s critical to keep watering, usually daily when growing strongly. Potatoes like a lot of water. You don’t want the compost soaking wet but moist all through. Once the bag is filled, feed weekly with a liquid tomato fertiliser instead of watering that day. You can start off any time from February onwards. It is important that the greenhouse is frost free and ideally has a daytime temperature over 10°C. Place on gravel trays so as not to block the drainage holes in the bottom of the bag. Once the weather warms up you can move the bags outside in the day or even all the time. Don’t do this in one go though, give them a chance to harden off by bringing them out for the warmest part of the day first, extending the time over a week. Once the plants flower which is the indicator that the tubers are forming and probably ready. Scrape some compost out and if the tubers seem OK, empty the bag and gather up your crop. The spent compost can be re-used for flowers or crops other than potatoes, tomatoes, aubergines which are the same family.